It’s been a minute since my last post, I would like to claim more family drama, but no, it has been a much less honorable diversion from my readers. For some people, er, geeks, World of Warcraft is a monkey that refuses to be shaken. But, for myself, while WoW had its charm for a moment, my gamer addiction comes in the form of a number of versions of Sid Meier’s Civilization. Turn based war and diplomacy has diverted me long enough, so today I shut the game down, and got to work on a number of domestic chores that required my attention on this day off. With a load of dishes and laundry started, glass and bits of trash swept up, and my desk organized to a more manageable chaos, I think it time to have lunch, drink a beer or two, and finish some graphic design work I am doing for a friend. 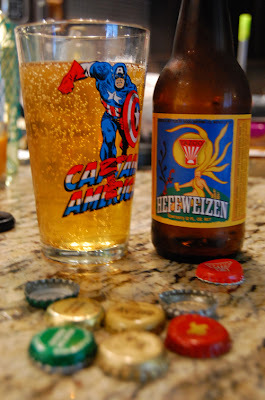 Continuing with the Yazoo brews picked up in Nashville in 2012, I start with the brewery’s hefe called, appropriately, albeit uninspiring, Yazoo Hefeweizen Ale. The beer, which won a gold medal in 2004’s Great American Beer Fest, pours out a nice tangerine color. Despite a semi aggressive decanting, the ale failed to develop much of a head and absolutely no lacing, despite oodles of active carbonation. A nose of banana and clove matches the initial wave of flavor that hits the palate. These flavors are paired with a nice tart citrus aspect, however a buttery essence muddles all the parts of the beverage. This detraction on the palate paired with a lackluster mouthfeel make the beer decent, but far from an ale that I would recommend to the casual drinker. When it comes to craft breweries, as beer drinkers, where do we begin to gauge the craft worthiness of a brewery? For every beer enthusiast, a different answer exists. 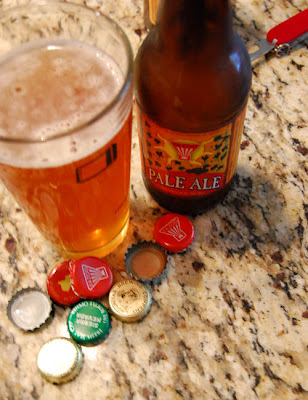 For me, the best yard stick is the everyday Pale Ale. No super fancy grain or hop bill, just a mid range, balanced ale is where, in my opinion, a brew master shows their stuff, and after a nice lunch, I am ready to be engaged in my beer drinking experience. 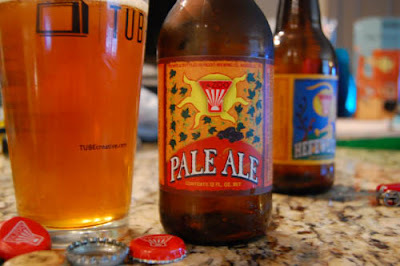 Just slightly darker than the previously reviewed hefe, I pour myself a Yazoo Pale Ale. Exhibiting a moderate, but long lasting head, active carbonation, and visually tasty lacing, I am primed for the first taste. Still thirsting for the first drops, the nose is bready, and equal amounts malty with brown sugar notes, and floral hops. Giving into desire, and taking a large volume of the beverage, I am reminded, of all things, orange Tootsie Pops that I loved as a child. A slight orange citrus flavor dominates the experience, and is augmented by a molasses, maltose body. A “chewy” mouth feel, which is a good thing, helps make the consumption of this beer enjoyable. Reflecting on this varietal from Yazoo Brewing Company, and on the four or five beers I have sampled, I see a small, regional brewery that is making some very drinkable ale, although not terribly remarkable beer. I don’t see finished work, but a good beginning.